The premises are prominently located on a very prime position within a retail parade within the Royal Borough of Kensington and Chelsea on Gloucester Road which is undoubtedly one of Kensington’s busiest roads. The area is extremely vibrant day and night at all hours, with an abundance of both tourist and commercial passing footfall. Nearby operators include the Gloucester Arms, Il Borgo, Med Kitchen, Starbucks and other well-known independent and national operators. 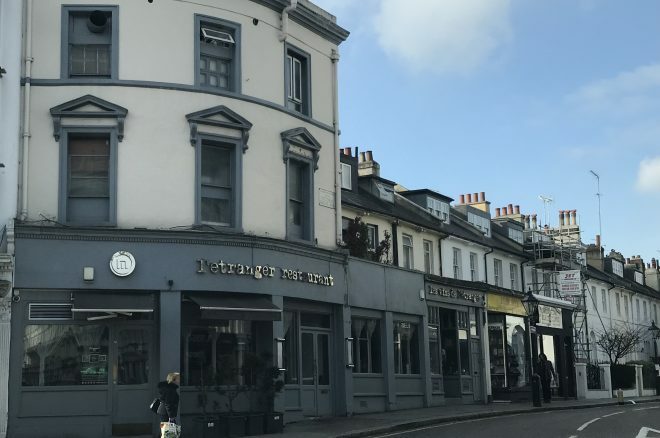 This four floor premises was formally trading as a French Restaurant and bar / night club in the basement with fully fitted bar and lounge and had benefit of private room and customer WC’s. The ground floor was formally used as customer sitting and bar area while the first and second floors were used as kitchen, food preparation / storage and office areas. The first and second floor of Victoria Grove premises were used for staff accommodation and storage. Ground Floor: Superbly fitted out to a very high standard and accommodates approximately 80 covers with customer toilets and is fully air-conditioned throughout. Basement: Fully fitted to a high standard as a high end bar / nightclub which is licensed to accommodate 120 persons. First Floor: Fully fitted kitchen and a one bedroom flat which was used for storage purposes. Second Floor: Fully fitted kitchen and a one bedroom flat which was used for storage purposes. NB There is space to accommodate approximately 16 external covers to the front of the premises. Rent: £200,000 per annum exclusive. Also available separately at £150,000 per annum exclusive for 36 Gloucester Road and £50,000 per annum exclusive for 1 and 2 Victoria Grove. Lease: Full repairing and insuring new lease.